Could the Baltic States collapse without the EU funds? Promises made by prospective members of the new Seimas to increase people’s income will need to be realised by the time their terms ends in 2020. That’s when the 2014 – 2020 period of European Union structural support comes to an end and there’ll be no place for new promises after that. The stream of funds will run out and modest funds from the state budget will have to suffice. Our neighbours are already predicting a major crisis in the Baltic region and there is talk of an urgent need to formulate economic reforms, lzinios.lt reported. During the Seimas election campaign there was no discussion of urgent economic reforms to be made in the face of times when EU aid would no longer be there or in the best case it would be drastically reduced. Review: who were better of in 2016? “Another economic crisis which must be prepared for has been predicted for the Baltic States. The economy must be sorted out and economic reforms make”, - warned Ilmārs Rimšēvičs president of the Bank of Latvia in the Latvian media. “The task is tacit but realizing it is difficult given the catastrophic the dependence of the Baltic States on EU money”. “According to Mr. Rimšēvičs the economy of the Baltic States, which is continually cared for by Brussels, has lost its momentum for growing on its own. The region is becoming a failed zone of investment which will be hard to withstand without outside intervention. Mr. Rimšēvičs warns that without a reformed economy the new crises will be more painful than the 2008 recession simply because of the devastating dependence on EU structural funds. “If the funds are accessible to us we shall grow and if not we’ll collapse. Requests to “absorb” the aid means living beyond our means. By following topped up funds and increasing the budget deficit we increase external debt and we do not think about future generations”, - he says stating that Lithuania and Estonia are suffering from the same disease. In the opinion of Mr. Rimšēvičs, the situation that continues to unfold is reminiscent of the time after the collapse of the Soviet Union when there was no more Soviet investment. Due to post-soviet transformation at the beginning of the nineteen nineties Estonia’s economy contracted by 35 percent, Lithuania’s by 49 percent and Latvia’s by 52 percent. Fragments of the post-soviet states are being assiduously collected and molded by Washington”. Mr. Rimšēvičs reminds us that in 2004 the EU started supporting the young Baltic States and that they were “sitting on Brussel’s needle of grants”. KPMG, an auditing company, reckons that from 2007 to 2015 Estonia was given 3, 4 billion euro in aid, Latvia – 4, 5 billion and Lithuania 6, 8 billion. Without this financial injection real GDP growth would have been 2,5 to 3 percent lower and the unemployment rate in Lithuania would have been 4,6 percent higher. According to Mr. Rimšēvičs, Brussels is making efforts, without much success, to lay a foundation for the periphery of the EU where national economies can grow and decrease EU member inequality. The Baltic States remain a failed region of investment. “In the Baltic States salaries are growing more quickly than output. Emigration and the shortage of qualified people in certain areas of the economy are exacerbating the situation. In Lithuania it is predicted that by 2019 salaries will on average rise by 6, 5 percent per annum and labour output will be 50 percent slower. That stops incoming capital and does not allow for independent economic growth”, says Mr. Rimšēvičs who also notes that without a constant injection from Brussels the economy will no be viable. “I would most certainly not like to meet the head of the Bank of Latvia. This is like a sport – if you want to jump higher you need more muscle. If business can buy new equipment for manufacturing competitive products, there will be more prospects then for exporting them”, - says Dalius Gedvilas, president of the Lithuanian Builders Association told Lietuvos Žinios taking a different stance. Mr. Gedvilas acknowledges that he is not prepared for a business-competitive market and that with our money alone we will not be able to work effectively. In his opinion structural aid over 2014 to 2020 has for the time being not been utilised very successfully. “Business has prepared the projects but the call to use EU funds have not been forthcoming. The ministries wanted to make that call earlier but hadn’t sorted out the paper work. If new Seimas members are expected it is difficult to guess the end of a lottery like this. In a few years it will have already been spent”, - says Mr. Gedvilas. He states that manufacturing organisations that place orders with builders are the only principle receivers of aid. When a business does not receive any support the construction industry stagnates. In one year volume has decreased by 14 percent. That’s one of the worst indicators amongst EU countries. Putting together the financial and administrative agreement project for the 2014 to 2010 period of funding will be possible up to 31 December 2020 only and costs will be paid off by 2023. So there is still time but as Mr. Gedvilas says, the risk of speeding up “absorption” EU finding increases. Now its road constructors only who are financed by EU structural aid funding. 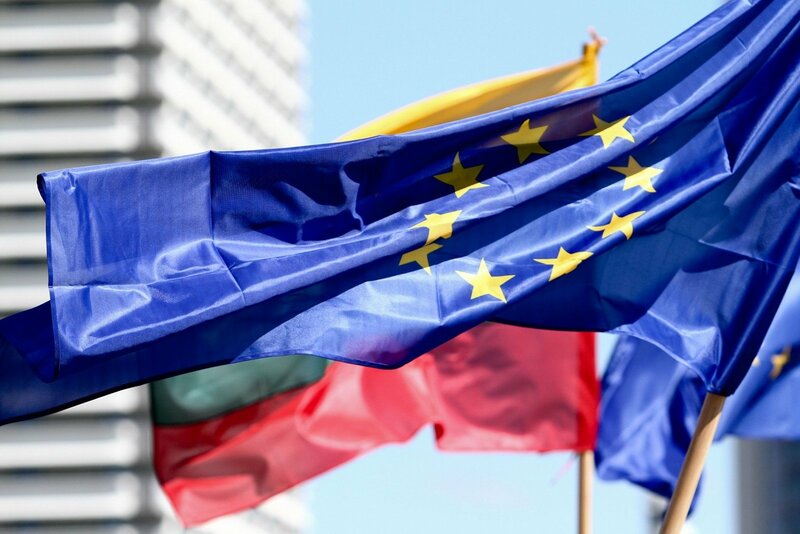 According to the EU structural aid agreement, in Lithuania over a year projects are allocated about one billion euro. Special projects and agriculture, which is dangerous to ever leave without EU funding, is financed by separate clauses. The National Payment Agency told Lietuvos Žinios that according to the Rural Development Program, agriculture is allocated more than 4, 5 billion euro a year of which 70 percent is from EU funds with the remainder coming directly from the state budget. 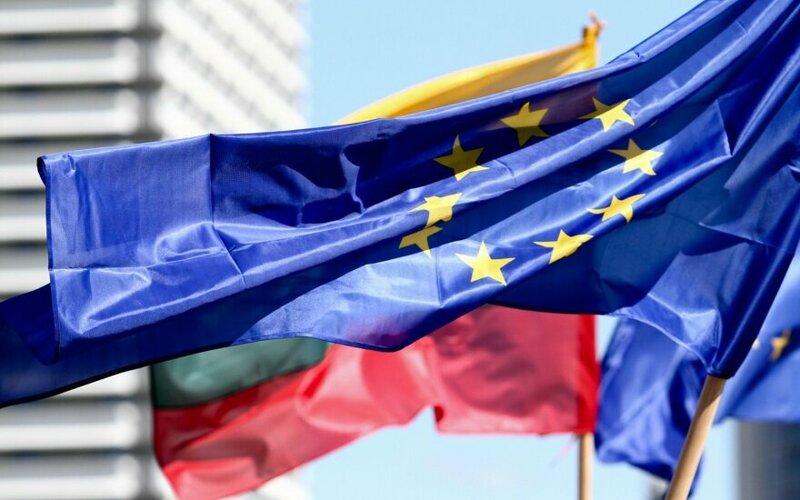 Žygimantas Mauricas, Bank Nordea senior economist for the Baltic States, told Lietuvos Žinios that he is no fan of EU support although he recognizes that since 2004 it plays an important role; structural support funds comprise up to 85 percent of project financing. It’s now difficult to imagine how to live without that support. “EU structural support naturally indulges and discourages creation. EU funds change a country’s allocations or private investments. When there is EU support nobody is interested in financing a project 100 percent”, - explains Mr. Mauricas. He concedes that when it comes to future problems, the loss of EU structural support is rarely taken up at conferences. No attempt however is made to delve into it and speak about the imperativeness of instituting economic reforms or special programs. Governments will probably get started when support ends, when there’s one or two years left. According to Mr. Mauricas, in Lithuania EU funds are needed somewhat spontaneously when seeking to ”take up” what would be good projects but up to now most projects are taken up simply because there are funds and once these have been implemented other questionable projects are attacked. He argues against the statement that in Lithuania there are good roads. “3 to 4 years after a road has been built it has to be patched up using the same structural support funds to repair it. Aren’t we maybe doing something wrong here?” reasons Mr. Mauricas. In his opinion the quality of roads in Lithuanian is being outdone by that of Poland. It’s stopped catching up with Latvia however the Latvians have built an international airport and there is already a return on investment from international flights. Vilnius Airport remains a heritage site in the Tabor neighbourhood. That year Lithuania built a road from Šiauliai to Telšiai but the foreign investors who wanted aren’t the ones who use it. ”It will be a real problem for road builders when EU aid comes to an end” – says Mr. Mauricas undoubtedly. Mr. Mauricas reminds us that Ireland’s economy on average became rich relatively quickly although its roads were bad. “If a lot of money arrives it would need to be used in a targeted way and not handed out to just anybody. That may cost 2 to 3 times more than now but if in 3 to 5 hours’ time we could get to Berlin that would be a cardinal change. That off course is for now a utopia but it’s in this direction that the way of thinking must change if it foreign investment is so important. Lithuania does not have an investment strategy. Much firewood has been chopped but there’s no debate as to what we’ll do when we’re “cut off” from EU aid”, - says Mr. Mauricas. He does however hope that the termination of support for the economy will be for the better because he is convinced that support often encourages ineffective use of funds and even corruption. Mr. Mauricas says that he supports position of the head of the Bank of Latvia in that urgent change in the economy of the Baltic States is needed as well as to create new, more modern financial instruments. As an example he mentioned the foundation of a refinancing fund signed last week in Lithuania to the value of 100 million euro for the renovation of apartment blocks. “The loss of EU support will certainly put pressure on the state budget but by re-shuffling priorities it should be possible to achieve a good result but not one we would achieve with EU support he says with certainty. “I do not think that EU support will be cut off immediately but one must always remember that this good thing is not an everlasting indulgence. Sometimes in Lithuania there is talk that when EU aid comes to an end you must expect a collapse. That shouldn’t happen however the subject must be highlighted. Mr. Mauricas says that for some the loss of EU funding will be disastrous but now it’s candy for children which causes tooth decay.